Proactively monitoring your network, servers, and computers. Avoiding downtime. . The absence of accurate IT inventory or monitoring is like driving blindfolded -a risky proposition. How much space do we have left? Are any systems about to fail? What devices and software do we own? What are the specifications? When do warranties expire? Are backups completing successfully each night? When does our Domain Name expire? Your IT systems run your business and unfortunately casual spot-checks of IT health is not good enough. Monitoring systems were invented to solve this problem. The eTor Networks Network Operations Center uses enterprise-class monitoring tools to continuously stay on top of your network. Why Network Monitoring? We simplify IT. Hundred’s of businesses use the eTor Networks monitoring platform to keep an eye out on important infrastructure including servers, switches, and client workstations. We get alerts at the first sign of trouble… and stay on top of IT. eTor Networks monitoring is simple to install and easy to setup. 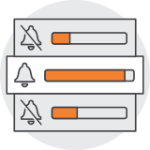 Quickly add devices to the dashboard and see data about your network lightning fast. eTor Networks gets real-time network insights and spot slow, sluggish or overwhelmed systems and devices long before they crash or users start reporting issues. 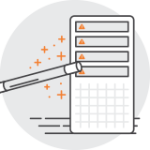 eTor Networks automatically receives notifications of any irregular activity on your network, any devices, and our Network Operations Center springs into action. eTor Network monitoring is 100% free with any of our managed services. 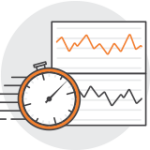 Eliminate server performance issues and bandwidth bottlenecks. Improve quality of service through being proactive. Real-time status on critical devices. More peace of mind.